Such a mix. Great shot. I love that moss on the roof. Wonderful collection of seasons in this picture. Beautiful winter scene and lovely little barn capture. Looks very old- does it have a history related to your area? Nicely captured. @olivetreeann Thank you Ann. It and some other buildings like it were in a camping area of the park and I have no idea what they are for. They didn't look like restroom buildings but not sure about that either. Great image. That roof is certainly covered with moss. I wonder if a new roof is in the offing? Lovely shadows. Lovely shed. 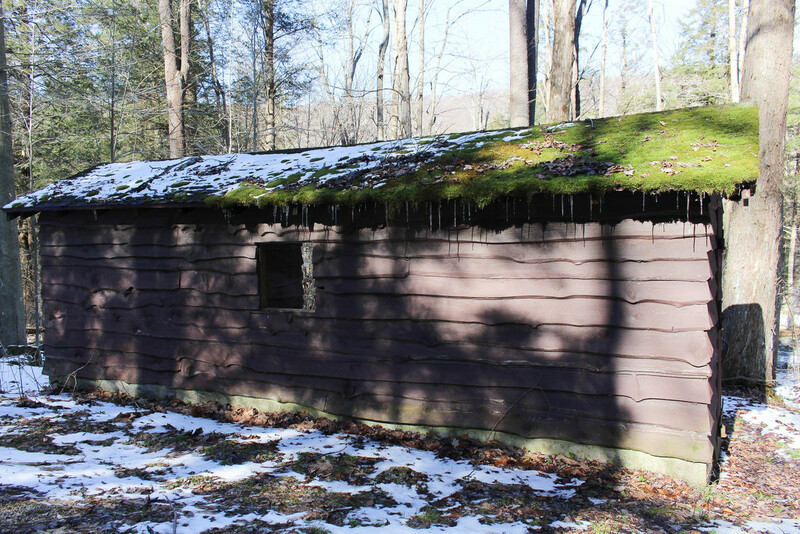 I like the roof with the moss and snow on it. Interesting roof with the snow and then the moss on the other side. could be utility sheds.